The cuisine of Naples has a variety of dishes for any food lover. With flavors from the sea, and ingredients enhanced from the sun and soil. There’s something for every taste; seafood, slow-cooked, succulent, sweet, simple, fussed-over, fried, and of course, pizza for the pizza lover. Narrowing down my favorite dishes in Naples, 10 favorites and only 5 desserts, was harder than I thought. In fact, I would say the food of Naples and the Campania region rivals Sicily and Rome for the tops among regional food in Italy. The stars that make up these dishes are the San Marzano tomatoes, frutti di mare, mozzarella di bufala, basil, and lemons. There are many other ingredients that play strong supporting roles including, eggplant, olives from Gaeta, walnuts, and salami. Some of the best of these dishes are found in the homes of the Napoletani where nonna and mamma make the dish using the decade’s old, if not century’s, family recipe (each family having their own unique version of the dish). In some cases in Naples, mamma’s cooking is so good that criminals on the run, can’t even stay away. Do you love Neapolitan food and its region? Join me for a week along the Amalfi Coast to taste and cook the best pizza, pasta and pastries this region offers. The vacation starts with pizza in Napoli and continues on an 8-day/7-night all-inclusive trip of a lifetime to the Amalfi Coast! We’ll definitely be tasting and making many of these delicious dishes during this dream vacation. 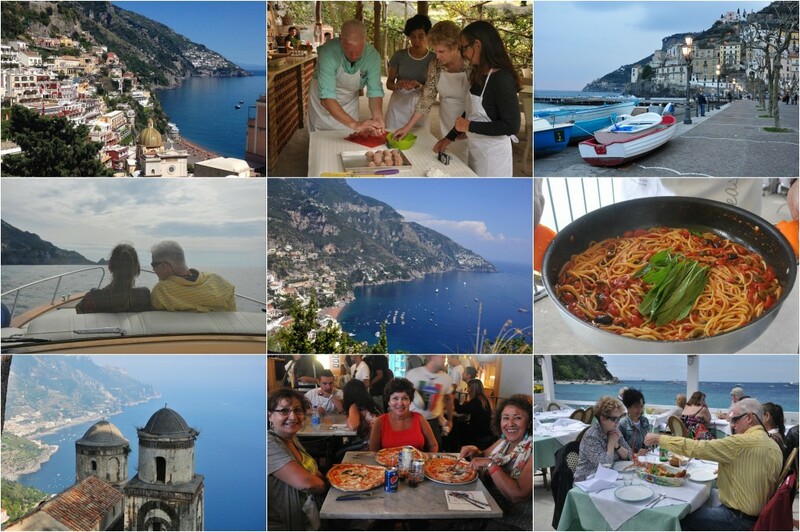 Food Lover’s Amalfi Coast Vacation – Reserve your spot today! Mozzarella in Carrozza – (Fried Mozzarella in a “carriage”) Instead of a grilled cheese sandwich, think fried cheese sandwich, and gooey goodness. Originally, they made this from “left over” mozzarella. The “carriage” is the bread, two slices cut into triangular shapes, encasing the mozzarella and keeping it together as it fries. Crocchè di Patate – (Fried potatoes, and oh so much more) Pronounced like the game, croquet, these are mashed potatoes with herbs, cheese, and sometimes salami or cooked ham mixed in. These make my list for best use of the potato! They are lightly coated in breadcrumbs and fried. You may never want a French fry again. Find them throughout the city at friggitorie (fry shops), especially in Naples’ historic center. Parmigiana di Melenzane – (Eggplant Parmigiano) All the flavors of the region layered one upon the other; fried eggplant, tomato sauce, mozzarella, Parmesan and basil. The dish has spread throughout Italy and the world, but you should try it here where it started and where the ingredients have a deep flavor enhanced by the volcanic soil. Pasta e Fagioli – More from cucina povera. Two items that can stretch a dish to feed more on less, beans and pasta, combine to make one of the most famous dishes of Naples. They even made a song about it. This dish, made well, that’s amore. Pasta from Gragnano and Ragu – A four-hour ragu of meats (depending on who’s cooking it–this could be beef, pork, veal, and maybe even some offal) and dried pasta from Gragnano, the town near Naples famous for its dried pasta. My mom, not Napoletana but Siciliana, made ragu for us once a week, so for me, this dish is love. Gnocchi alla Sorrentina – One of my favorite dishes in all of Italy. Gnocchi made in the Sorrento style, are fluffy potato “knuckles” that float in a sweet tomato sauce and surrounded by melted mozzarella. Another divine use of potatoes and cheese! Ravioli Capresi – Everyone has heard of a Caprese salad, but these ravioli, just as popular in the area, are hard to find outside of the region. The filling is cacciotta caprese (a soft cheese from Capri), parmigiano and an egg to bind it. The sauce is a simple tomato one. Basil and more Parmigiano finish the dish. Polpette – Meatballs are a Neapolitan specialty, but they are not served on top of spaghetti. They are served as a secondo (second or main course) with tomato sauce, and, even better if you try them fried. Pizza alla Napoletana – Although pizza isn’t the only great food in Naples, it’s definitely a must eat while there. In the centro storico you can find many of the best pizzerie in Naples, including the famous Da Michele and, my favorites, Sorbillo and Starita. Now for i dolci (the sweets). These are five of my favorite “everyday” pastries from Naples and the surrounding area. These, except the Torta Caprese, aren’t the simplest to replicate at home, as they are pretty labor intensive. Just another reason they should be sampled again and again while you’re in Naples. There are also delicious holiday pastries, but I’ll save those for another post. Baba al Rhum – Roots in Poland and named after Ali Baba, this dessert is somehow more Neapolitan; these little cakes are everywhere in the city. The classic version is served plain and soaked in a rum, strega, or limoncello-based syrup, but you can also find them sliced and filled with pastry cream, ricotta cream, cream chantilly and fruit, lemon cream or Nutella. Sfogliatelle – The clam shaped flaky pastries filled with ricotta cream, and topped with powdered sugar. Between the flakes of pastry and the sugar, don’t plan on staying clean while you eat it. 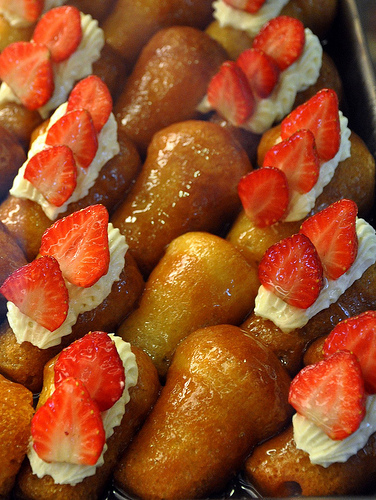 A lot of work, and strutto, are involved in making this pastry. Sample, sample, and sample some more while you’re there. Delizie al Limone Delicious lemon flavors are in every part of this dessert. Pan di Spagna soaked with lemon or limoncello simple syrup, lemon pastry cream or a combination of lemon curd and pastry cream (depending on the pastry shop) is the filling, and then the cake is+ iced with a lemon infused whipped cream. More an Amalfi Coast dessert, showcasing the lemons of that area, pastry shops along the Amalfi Coast sell these in individual-sized domes. Torta Ricotta e Pera – Also from the Amalfi coast, ricotta cream with bites of poached pears is sandwiched between two layers of almond and hazelnut biscotti or Dacquoise, depending on the pastry shop. Dusted with powdered sugar to ensure you make a big mess of yourself when biting through the hard cookie to get to the sweet and creamy center. Like sfogliatella, it’s worth the mess. 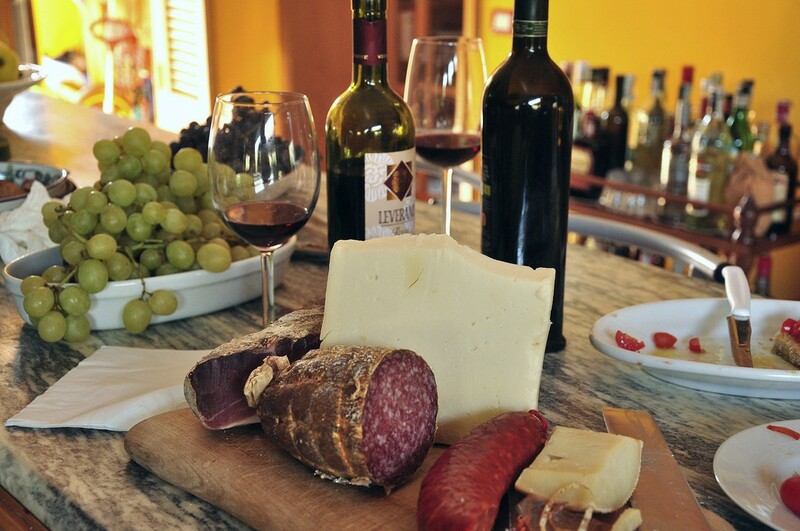 Here you have Reason #1 for visting Naples – the food. In case you need another…Reason #2 the people, is my next post. What’s your favorite Neapolitan Food? I know I haven’t listed them all; what would you add to the list? What a great listing! You’ve got me craving the baba I ate in Sicily – swimming in rum! My paternal side comes from Benevento and my maternal side from Basilicata. Reading the descriptions of these dishes brings me back to my childhood growing up in the Bronx, NY. 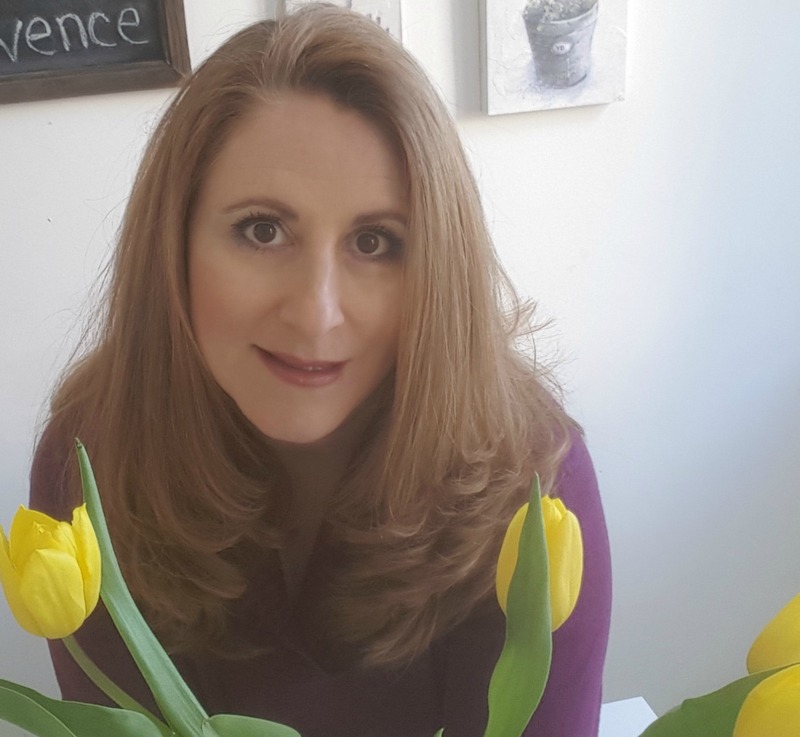 When I get home tonight, I’m making my version of Parmigiana di Melenzane! This post almost makes me want to go to Naples, but I won’t go without an armed guard. The delizia al limone is my favorite! 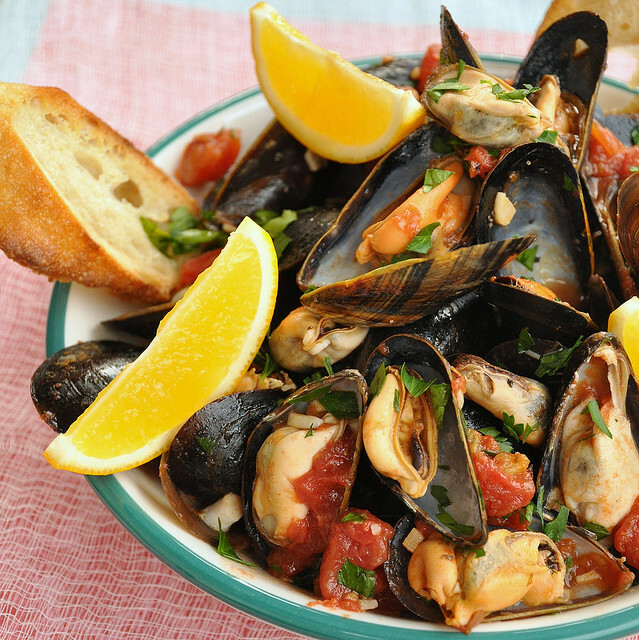 Then the gnocci and pizza and cozze….oh…all of it! Naples has a reputation but don’t let it stop you from going. You don’t need an armed guard, just a bit of common sense. Watch your purse, no flashy jewelry etc. I am Neapolitan born. Such a shame that such a beautiful city should be singled out. I would more consider an armed guard in downtown LA or Detroit than Naples. Hey i am neapolitan and I can say that you made a good list of what you can eat in Napoli. I can suggest you should add Zeppole (fried), Salsiccia and friarelli, Panino napoletano and ripieno maybe. For best pizzerias it seems you have a good background, as a neapolitan my favourite is Starita (so u really know ur business, coz tourists many time go to eat on the Lungomare to the worst restaurants and even more expensive than Starita for example). For the rest, even if I am born here, i am really in love with my city’s food. Napoli is like the heaven of the street food. There are no McDonald’s in city centre, and is quite a strange thing for Italy.